Home Blog What Is the Typical Spanish Home Like? Before you begin working your way to foreign language fluency, it helps to understand the culture behind the language you’re learning. After all, language exists to help a group of people express their ideas and beliefs. Spain is an old country with a rich history and culture. As you begin your Spanish language program, gaining a strong grasp on this history, the values, and the etiquette will help you rapidly achieve success. In particular, housing in Spanish speaking nations is very different from U.S. housing in a lot of ways. From apartments to houses to the very furnishing inside, know what to expect before visiting a home in Spain or Latin America. Latin America and Spain offer every type of accommodation you would find in any first world country. You will find all inclusive luxury resorts, shared accommodation at hostels, and everything in between. The hotels are rated with one to five stars and the most opulent are classified as “Gran Turismo.” Well-known local hotels includePresidente Intercontinental and Camino Real, and these normally have more flair than the worldwide chains such as Marriott, Sheraton, and Westin. Some accommodations are limited on what they provide due to preservation efforts, and they have their own classification. Historic haciendas, mansions, and convents fall into this category. Nevertheless, they will give you a real taste of Latin America and Spain’s rich history. If you’re working with a budget, there are hammocks strung up in shacks on the beach and rustic cabanas available. Camping on some beaches for free is another option. Do your research and check with the locals if you can, to decrease your risk of getting robbed or falling victim to other mishaps. If possible, you should always view your accommodations first before committing. Spaniards are diverse in the way they live. There is no specific class of life tied to all Spaniards. They live in all kinds homes from the shanty towns to the most exquisite mansions in the city. Their homes range from luxury penthouses with swimming pools servants quarters for the billionaires living in cities to the haciendas of the rural dwellers. The middle class live in cities where they have erected small story houses. They have apartments between the shining skyscrapers. These middle class Spaniards are starting to build new suburbs in the outskirts of the city. A small working family might be interested in classic houses build in the 70s in one of the vast communities. The urban poor live in c””iudades perdidas,” shanty towns. Most cities have these shanty towns, which are always congested and oozing with poverty. In the Yucatan, vintage houses build by the Maya still exist. These houses are single story and oval with thatched roofs and adobe walls. 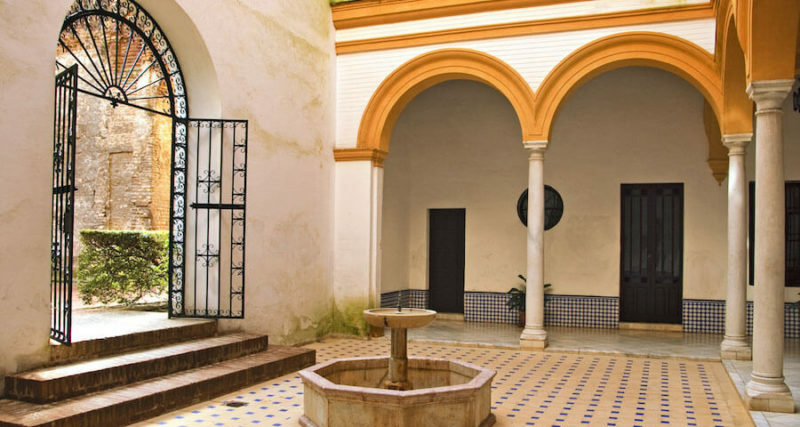 The very exquisite Spanish houses feature great designs, showing the creativity of the Spaniards and Latin Americans. There appears to be many people living the middle class life and in middle class apartments, bridging the gap between the mega rich and the poor. If you are working in one of the neighborhoods, finding a good middle class home will be easy. You can choose a neighborhood that makes you feel at ease whenever you do your things. In a community where you find English and Spanish activities to match your interests.